We are just around 20 minutes away from from Long Beach Convention Center. Where we deliver an experience no other restaurant or bar brings all in one house where you can: play on over 260 golf courses; not just hit ball at the golf driving range but play other golf games; and not only hit baseballs but throw baseballs and see how fast you throw. We are not only famous for our unique approach to experience the old, but our food and drinks fun and shareable making your time here super fun! For Olympic Golf Zone, sports are more than just another activity. They represent the beauty of life, the challenges, defeats and victories, the moments spent with your loved ones, as well as the pure joy of fighting together for a common goal. Each day, we strive to transmit our perspective on sports into everything we do, whether it is a golf tip given to our customer or a press conference for a sports event we are hosting. 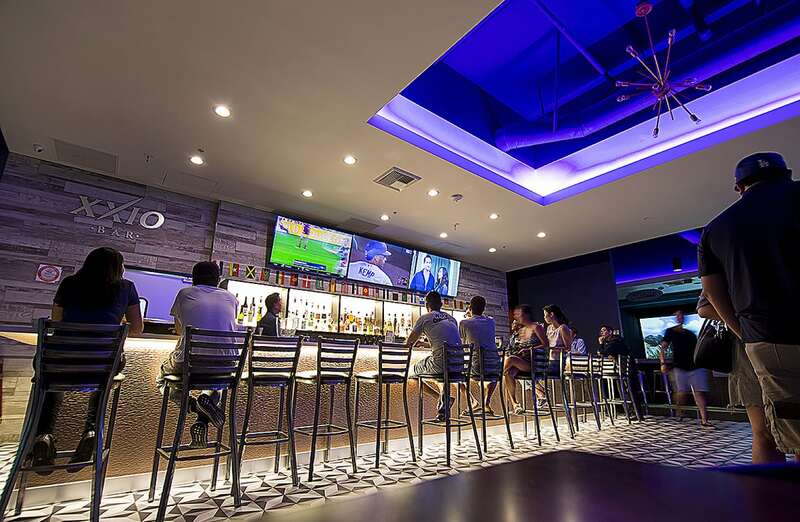 Based in Buena Park, CA, we are honored to invite our neighboring community from Long Beach to join us in discovering the beauty of indoor golf ranges and batting cages, as well as the relaxed evenings spent with family and friends in our sports bar. Olympic Golf Zone believes that an evening with your friends is an evening well spent. If you are passionate about sports, we invite you to watch NBA, tennis live and all the most popular live sports, right here, at our sports bar. Bring your crew and enjoy some of the best games together! Still searching for the perfect event space for your private dining event? Olympic Golf Zone might be the answer for your. Our delicious foods and drinks are made with strong passion and attention to detail, while our service will unquestionably win you over. Prepare to be delighted by Olympic Golf Zone’s food and drink list, carefully crafted together to present only the best recipes and rare selection of beverages. For your private dinner, corporate events or for a casual night out with friends, our passionate staff will serve you mouthwatering dishes, together with the best drinks. After a long day, Olympic Golf Zone invites you to swing your worries away and challenge your friends to some baseball! Our batting cage machine is the perfect spot to get your baseball training, as well as a good team activity to integrate in your team building activities or holiday parties. Your birthday is a special event that is worth celebrating exactly the way you imagine. With this in mind, Olympic Golf Zone organizes your birthday party, by taking into account the greatest birthday party themes and invites you to make golf reservations to surprise your guests! When looking for a special company events location, Olympic Golf Zone’s team proposes something different than everything you’ve ever tried before! Organize a golf challenge with your coworkers on our realistic virtual golf simulator and see who has the best swing! The amazing landscapes of Long Beach can hardly be described in a few words. This coastal city is home to marvelous beaches and seaside attractions, as well as to interesting music events. Moreover, it hosts several sports events each year, from the Long Beach Marathon to baseball, basketball and rugby competitions. We are passionate about sports here at Olympic Golf Zone, this is why we welcome everyone to experience something different when it comes to sports. Our pitching cages are the next level when it comes to baseball practice, while the indoor golf simulators let you choose between more than 250 golf courses worldwide. Don’t take our word for it! Pay us a visit us and check them with your own eyes! Are you a Dodger or Angels fan? We love all of our California Baseball teams! We HD Projectors that we can use for your group allowing have a private movie screening, sport viewing party, presentations for clients, end of season parties or banquets. Need a quick escape from what you’re used to? 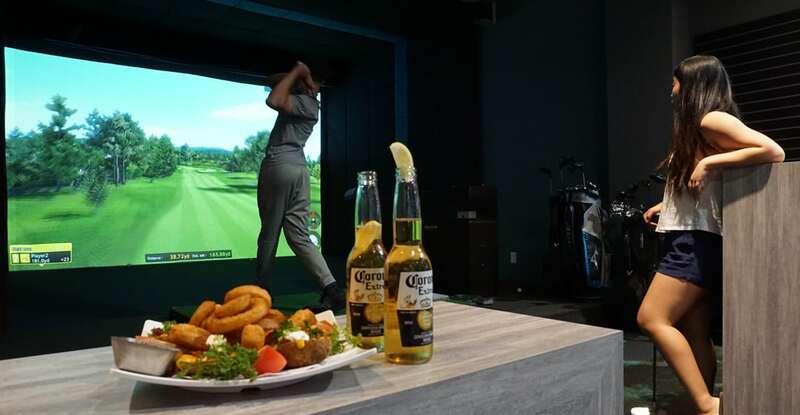 Olympic Golf Zone has the best indoor golf range for you to practice your swing on, as well as a full bar where you can just relax with your group. Why not try some baseball while you are here? Our pitching cages are pure fun, an easy way to better your baseball skills and lose some stress. Because we know you’re passionate about sports, Olympic Golf Zone’s entertainment opportunities are closer than you think! From Long Beach, just follow I-710 N and CA-91 E to State Hwy 39 N/Beach Blvd in Buena Park and there we are, at 6988 Beach Blvd #B208, Buena Park, CA 90621. Want to book a private event? We can also be reached at (714) 228-9900!